Life Insurance – Because lives depend on it. We’d like you to take a moment and sit down and really think what life would be like for your family if you died. Where would the money come from to cover the mortgage, school fees, running the car, credit cards, and everyday living expenses such as food clothing, phone bills, gas, electricity and child care? Not to mention funeral expenses and other medical expenses that your health fund simply does not cover. You may have money in a savings plan or investments. Perhaps you have equity in your home? But turning these into cash may mean your family having to sell assets, which could cause even more disruption at a time when they really need financial support and the time to adjust. It is not a pretty picture, you should consider life insurance. Would your family cope – consider life insurance? If you have a dependent spouse or children, or debts (such as a mortgage), your accumulated super benefits alone may not be enough to ensure your family’s well-being after your death. Many superannuation funds offer Life Insurance as an ancillary benefit to members. Topping up your super death benefits with life insurance can be an efficient, tax effective and inexpensive way to ensure your beneficiaries will be looked after. The level of cover you need depends on how much super you have accumulated and how much more you might need to cover your debts, income needs of your dependants and expenses such as funeral costs. If you have a large mortgage and young children, you may need a relatively high level of life insurance cover. As you get older and nearer to retirement, you are likely to experience a lessening of financial responsibilities. Your super balance is likely to be higher, you may have paid off your mortgage and your children may no longer be financially dependent. Therefore, you may not need the same level of life insurance cover that you did when you were younger, or you may no longer need insurance cover at all. As your circumstances and priorities change, it’s important to review your level of insurance and life insurance. 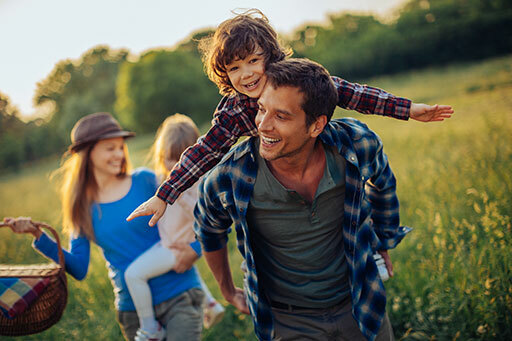 Austbrokers NCFS can help you at each step to work out what your Life Insurance needs are, taking into account the level of Life Insurance and Trauma Insurance you are targetting. Get the right advice. Contact us on (02) 6620 2000. Cancer, Heart Disease and Stroke – 3 big reasons why you need trauma insurance. As people are becoming more aware of the statistical chances of suffering a critical condition or major trauma, the need for trauma insurance is becoming more of a priority. Trauma insurance is paid when a person has received a confirmed diagnosis of a “qualifying condition” as set out in the insurance policy. It is generally paid as a lump sum upon diagnosis and can be used to cover lost income, medical and rehabilitation costs and other varying expenses such as mortgage repayments. The occurrence of a major trauma can affect both the physical and emotional wellbeing of individuals and their families and a lump sum can help towards easing the stress during what is most likely to be troubling times. Most of us hear regularly about someone who has been suddenly diagnosed with cancer or a serious medical condition, who has suffered a heart attack or even died. If you were diagnosed with cancer or suffered a heart attack, wouldn’t it be great to receive a lump sum insurance payment shortly after diagnosis to assist you in treatment and funds made available to consider your future. Having a trauma insurance policy means funds would be available. Take an extended holiday, pay off debt, funds available to consider alternative treatments, find the best Doctors and concentrate on recovering. Medicine today is constantly being upgraded and developed and many people who would have passed away 10 to 20 years ago, are today being treated and cured but still having traumas. A trauma insurance policy is similar to a life insurance policy – the advantage is that you do not need to die to receive the funds. Many companies will offer cover for these traumas / illnesses (guide only please see company PDS for exact coverage). Is your income important to you? – So is Income Protection Insurance. Like most of us, you probably succumb to the odd day off now and again for minor ailments. But what if a more severe sickness or injury prevented you from earning an income for a longer period of time – weeks, months or even years? How would you keep up your mortgage payments, school fees, running the car, credit cards, everyday living expenses, such as food, clothing, phone bills etc. Not to mention medical expenses that your health fund simply does not cover! Income Protection Insurance is not something that you think about when you head off to work each day or go for that weekend drive or overseas holiday. You insure your home and car without a second thought. You always organise the travel insurance. You also need to cover yourself. Income Protection Insurance is the first step in securing your lifestyle if something does go wrong. We source income protection policies from major insurance companies to give you the most appropriate insurance available. Income Protection Insurance will protect your greatest asset… your ability to earn an income. When things go wrong due to illness or accident, your insurance will keep your income coming in. Income insurance is worth considering for all working people. It can replace up to 75% of your gross revenue when you need it most, when you are ill or injured and unable to work and will keep a regular income coming in while you recuperate and concentrate on getting well again. The length of time you receive your payments will depend on the contract term you choose. A policy can pay you for 2 years, 5 years or to age 65. If you are young, single, married and reliant on a regular income. If you have debts, a home loan, car payments to make, school fees and regular bills to pay, Income Protection Insurance could be the most important form of insurance you will ever use and in most cases it is also tax deductible. Income Protection Insurance is designed to keep income coming in, month after month, year after year on a regular basis while you are ill or injured. Do you have business overheads to pay? – You need Business Expenses Cover. Business Overheads Cover is a business expenses insurance that covers the regular fixed operating expenses of your business if you can’t work due to sickness or injury. It has been specifically designed for self-employed people. Please contact one of our experienced advisers to get your business the right cover on (02) 6620 2000. Buy/Sell Insurance- Keeping your company Alive! As a successful business owner, you have worked hard to reach your goals and it is probable that your business has become one of your most valuable assets. But, have you considered what would happen to your business and family should you unexpectedly die or become disabled? How Can You Protect Your Business and Family? When examining different strategies, it is important to select one that insures a smooth transition of ownership and protects your family’s financial future. A buy-sell agreement can help you accomplish this goal. A buy-sell agreement is a contract among business owners. At the loss of an owner, the business interest is transferred according to the terms of this contract. The other owner(s) are obligated to purchase the deceased’s business interest and the deceased’s heirs are obligated to sell. Just look at what a buy-sell agreement can do. Are free of business worries and guaranteed to receive a fair price for the sale of the business interest. May avoid some of the delays associated with probate. Will not have to worry about new and possibly unwanted partners. Know the purchase price of the business beforehand. Remain in good standing with clients and creditors through a smooth transition of ownership. Simply put, a properly funded buy-sell agreement will benefit your family, surviving owners, and creditors. Do you have key people in your business – you need to insure them! Most companies have at least one employee who is a key to the success of the business. Whether it’s the owner, a partner, a majority stockholder, or someone with a high level of expertise, the loss or death of that person could mean financial ruin for the company. Key-person insurance protects your company’s solvency in the event of losing a key employee or founder. Protecting your company from such potential disasters not only makes good business sense, but also, lenders and investors generally require that a business carries key-person insurance to protect their loans and investments in the company. Many insurance companies require a company’s board of directors to pass a resolution affirming the purpose of the business life insurance policy. Additionally, the key employee must be notified about, and agree to the purchase of, insurance on his or her life. The business typically owns the policy, pays the premiums, and is the beneficiary. Most businesses purchase key-person insurance as a permanent life insurance policy; however, term life insurance may be less expensive and can be bought to cover the key person until he or she retires. The policy can be then transferred to the departing employee as a retirement benefit or to a different key person, upon the retirement of the original key person. We can also assist you with life insurance, income protection and superannuation advice. 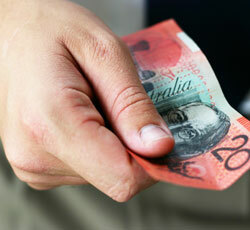 When providing this service we do so as an Authorised Representative of Millennium3 Financial Services Pty Ltd AFSL No. 244252. Our representatives will provide you with further details about this service including information about Millennium3, the products and services they are authorised to provide and the fees you will pay for this service.